The premier location for luxury waterfront living in Vancouver, Coal Harbour condos offer breathtaking views, an effortless commute to Downtown offices, and easy access to a nature loverâ dream Stanley Park. 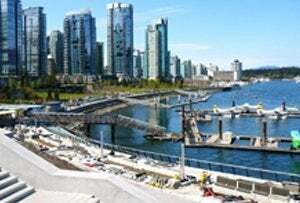 Set in Vancouver waterfront, the neighbourhood's glittering condos are bordered by waterfront parks, the busy working harbor, float plane terminal, and the Vancouver Convention Centre. There' no shortage of shops and restaurants in this area. Five star restaurants inspired by local ingredients rub shoulders with upscale boutiques. Steps away from Vancouver's downtown core, all modes of transportation are handily available from the SkyTrain to buses to arterial commuter routes. Bordered by downtown Vancouver, Stanley Park, and the sparkling ocean, the West End is an eclectic, vibrant neighbourhood. A large number of restaurants, shops, and entertainment venues make it one of the liveliest areas in the city. 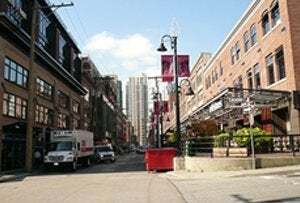 Densely populated, the West End offers a diverse mix of older renovated homes, low-rise buildings, and new high-rise condos on tree-lined streets. 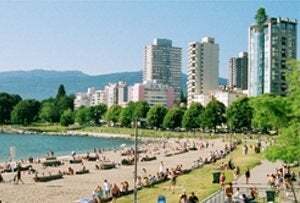 Sprawling parks, beautiful beaches, and some of the best shopping Vancouver, match urban convenience with a nature-lover's dream. Main thoroughfares offer easy access to both SkyTrain lines, arterial routes to North Vancouver and Whistler, and an easy walk to the downtown core. Characterized by glass condos, restored heritage lofts, designer boutiques, and a lively nightlife, Yaletown is a trendy, dynamic neighbourhood. Once the hub of warehousing and industrial activity in Vancouver, condos, and apartments surrounded by green space and breathtaking views are now the norm. With exceptionally easy access to transportation options many residents choose not to own a car in this convenient, walkable community. Turn-of-the-century buildings house high-end furniture and designer clothing boutiques. While a wealth of well-turned out restaurants keep company with theaters, large grocery stores, and delis to make this one of the most desirable areas to live in the city. 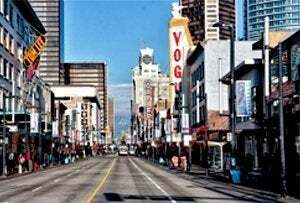 A central hub, Vancouver's Downtown core one of the best urban living experiences in North America. Natural splendor seamlessly meets urban amenities. Downtown boasts a mix of luxury high rises and elegant townhomes well-suited to those who work in the area. 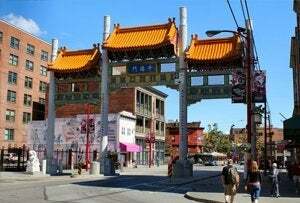 It offers a wealth of shopping from Pacific Centre to Robson Street to the up-and-coming fashion boutiques in Gastown and an abundance of restaurants to cater to every craving. There is no shortage of parks and recreational facilities nearby. The most famous being Stanley Park. All transit leads to downtown. This area is connected to virtually every Vancouver neighbourhood through the SkyTrain, Seabus, and bus routes. Famed for its glittering waterfront and public market, False Creek is unique in Vancouver. Encompassing Olympic Village and Granville Island, the area offers everything from condos and apartments to floating homes. Long term residents in the area tend to be older. The young, growing community of Olympic Village bucks the trend as young families move into the neighbourhood. Literally steps away from the seawall this is a community on the move. Jogging, biking, and strolling or on the water to kayaking, dragonboating or paddleboarding. False Creek offers a wealth of eating and entertainment options and is closely connected to Downtown by public transit and the Aquabus and False Creek ferries. Established the same year that Canada became a nation, Gastown grew from a single tavern founded by John Gassy Jack Deighton into one of the country's most cosmopolitan cities. Today, it's the epicenter of independent design, culture, food, and fashion in Vancouver. The area retains its historic charm and independent spirit with a mix of gorgeous Victorian buildings and new, high-end housing. A rapidly gentrifying area, it is home to trendy young professionals who take advantage of it's unique restaurants, bustling nightlife, and thriving fashion scene. 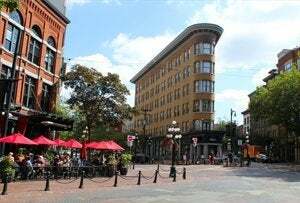 Gastown is designed for walkers and is connected to the rest of the city via a wide variety of transit options.